Freiburg play host to Dynamo Dresden at their Schwarzwald-Stadion in the last 32 of the German Cup. Freiburg have been struggling on the travels in the 2017/2018 Bundesliga campaign, but they are tough to beat at home and they are definitely capable of beating the 2. Bundesliga team in Wednesday’s football match. Christian Streich’s men defeated Germania Halberstadt in their German Cup opener, whilst their rivals did well to beat Koblenz on the road in the previous round. 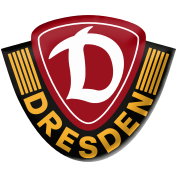 Dynamo Dresden’s main goal this season is to return to the German top flight and we would not be surprised if they return home empty-handed from the trip to Freiburg. Niels Petersen has been struggling to find his best form this season, but he is widely expected to lead the line for the hosts against Dynamo. Taking everything into account, we predict that the hosts will advance to the DFB Pokal last 16. Julian Schuster is a German footballer who plays for Freiburg. Schuster was born in Bietigheim-Bissingen, West Germany and he started his youth career at FV Lochgau. After spending 14 years at the club, he joined Stuttgart in 2004. The 190-cm-tall midfielder played 56 games for Stuttgart II and he made no more than two appearances for the first team in the 2007/2008 campaign. It has to be noted that Schuster made his Stuttgart debut on 27 October, 2007 against Bayer Leverkusen. In July, 2008 the German midfielder signed a contract with Freiburg and he has been playing for the Bundesliga outfit ever since. On February, 2014 Schuster extended his contract with Freiburg, which expires on 30 June, 2017. His brother Robin is a football player as well, while his cousin Benedikt Rocker plays for Brondby. 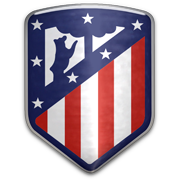 Julian Schuster is a defensive midfielder, but he is capable of playing as a central midfielder as well. He has yet to make his debut for Germany national team.